Whether you’re at the movies, at home watching a movie, or even just hungry, popcorn is a favorite and healthy snack for many people around the world. In the USA alone, 17 billion quarts of the stuff are popped annually! Unlike many of the candy fundraisers, a popcorn fundraiser is healthy and fun to organize, and your group can cash in on the fact that everyone loves popcorn! Your fundraising group will start by finding a popcorn fundraising company to work with. You can choose to have a brochure sale or an on-hand sale, depending on how much you’re willing to pay upfront and what works for your group. With a brochure sale, each of your participants is given order forms and brochures and sent out into the community to collect orders and payments upfront. Most companies will offer a wide range of products and popcorn flavors, but make sure to choose a company that does do this, or you may lose some of your sales appeal. At the end of the sales period, you will collect all the money and orders, tabulate them and place a large order with the company. Shipping should take two to three weeks. Once you’ve got your popcorn, you’ll likely need volunteers to help you sort the order and deliver it. If you want to, you can include a thank-you note with each order. If you decide to host this fundraiser again, participants will remember your kindness. With an on-hand sale, you’ll order a large amount of popcorn upfront, then sell it at a booth or table at various events around your community, or do door-to-door selling with your sales team. You may be able to buy the popcorn on credit, so you won’t have to find any money upfront. Being able to take home their product immediately may appeal more to your customers than if they have to wait for delivery. However, with an on-hand sale, you may be limited to only a few varieties because of the sheer volume of popcorn you will have to keep track of. As well, you may have to pay fees for booths at craft shows and sporting events, which can eat into your profit. The profit potential for a popcorn fundraiser is between 20% and 60%. You may find that items in a brochure sale have higher prices than others, which will increase your profit potential, but you need to be aware of the fact that there may be hidden costs, like shipping. If this is the case, see how much you need to sell to be able to qualify for free or discounted shipping. You may also have to sell a minimum order to work with the company or get a certain price on some items. If you have an on-hand sale, you may sell more upfront, but you also may have to come up with money upfront to pay for the product. Review your group’s budget and see what method will work for you. There are pros and cons to every fundraiser, including popcorn ones. Some of the good things are that everyone likes popcorn and it’s a consumable item, which means that you can host this fundraiser several times through the year. Popcorn is also easy to store, which means that you can carry an inventory for a short time before the product will go stale – you don’t have to deliver it right away. As well, you may sell more popcorn around Christmas, because many people like to give it as a gift to friends and family. The profit potential is high with this fundraiser, and you can stress the health benefits so that your customers will be more interested in buying from you than from another group with chocolate bars. You will have to motivate your sales team, however. If the company you’re working with has an incentive program, take advantage of it. At the least, it can net you more sales. There are disadvantages, however. Popcorn is a popular item, so other groups may be putting on a similar fundraiser at the same time as you. 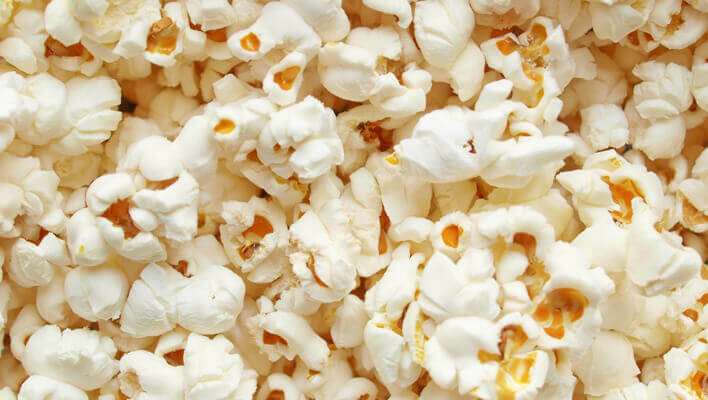 As well, popcorn is readily available at the grocery store to buy and is very easy to cook at home. Not only that, there are kiosks at the mall that sell popcorn in all sorts of flavors. You will have to stress your group’s needs for your customers’ support, if this is the case in your area. Popcorn is a great snack at any time of the day, and it’s easy to store and sell. If you play your cards right, you should be able to earn a fair bit with this fundraiser. You simply need to know what your customers want and how to sell it to them.